THE NUMBER OF tooth extractions over the past nine years has increased by 41% due to the current structure of the medical card scheme, according to the Irish Dental Association (IDA). A survey published today outlines that an overwhelming majority of dentists say they have no confidence in the medical card scheme and are dissatisfied with the level of care they are allowed to provide under it. According to the survey, 90% of dentists say they are dissatisfied with the level of care they can provide under the scheme, while 96% say the scheme prevents them from providing the same standard of care given to private patients. Since 2010, the number of patients eligible for dental care has risen to 1,340,412 – an increase of almost 260,000 or 24% since April 2009 – according to the IDA. Despite that increase, the number of treatments funded by the HSE has fallen by 24%, it said. Since April 2009, surgical extractions have increased by 41% and routine extractions have increased by over 12%. Fintan Hourihan, CEO of the Irish Dental Association, added that it was shocking that 38% of the dentists in the survey say they have been refused approval to provide treatment for exceptional or high-risk patients due to lack of funding. “While the PRSI scheme has been revamped and some treatments restored – a very welcome development – the medical card scheme, by contrast, continues to place a limit on fillings (ie. saving a tooth) while allowing an unlimited number of extractions,” Hourihan said. “We are calling on the Minister for Health to resume contract talks as a matter of urgency and to extend to dentists the same terms and conditions which have been offered to public servants and other health professionals who have seen FEMPI (Financial Emergency Measures in the Public Interest) pay cuts reversed in full,” he said. In a statement to TheJournal.ie, the Department for Health said: “There is a commitment in the Programme for a Partnership Government to introduce a preventive dental health programme for children under 12 and adult medical card holders. “The National Oral Health Policy, which is close to finalisation by the Department of Health will inform future provision of dental services. The aim of the policy, which is being led by the Chief Dental Officer, is to develop a model of care that will enable preventative approaches to be prioritised, improve access, and support interventions appropriate to the current needs. 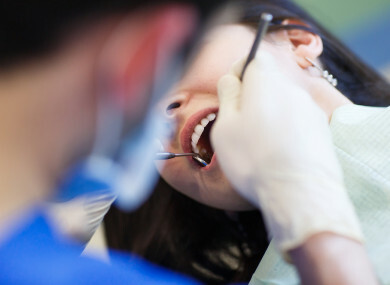 Email “Dentists claim rise in tooth extractions caused by structure of medical card scheme”. Feedback on “Dentists claim rise in tooth extractions caused by structure of medical card scheme”.